This is the first image of a work in progress to what will soon become a full and wearable costume of Basil of Baker Street. I am simply amazed by someone actually taking the time out of their busy schedule to create a character from a film hardly mentioned these days, and this is why it brings me to mentioning it here! Below are the links to each page of updated work. 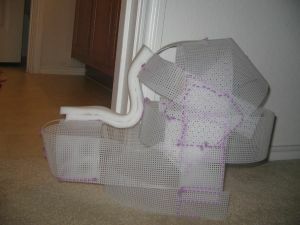 I will keep adding new off site image links as uknownprincess continues with this awesome costume creation.